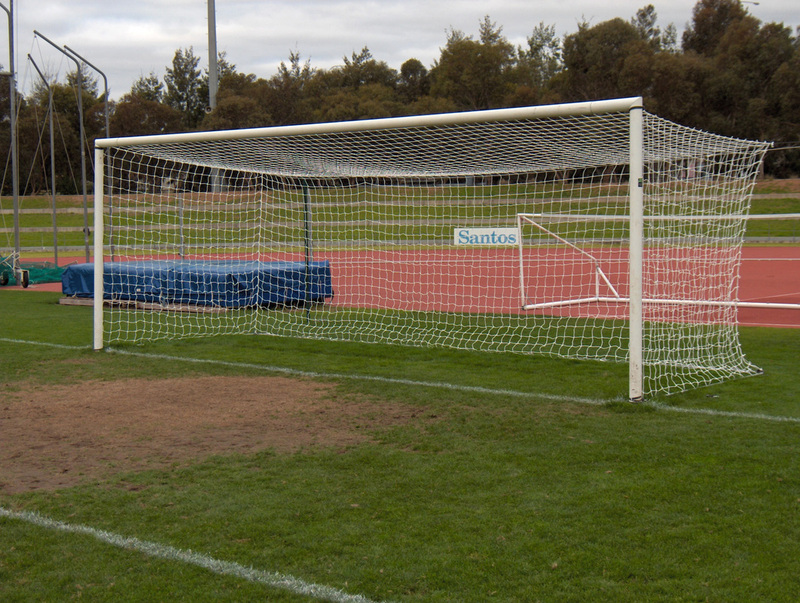 Click here to buy standard sized football nets using our secure online store. 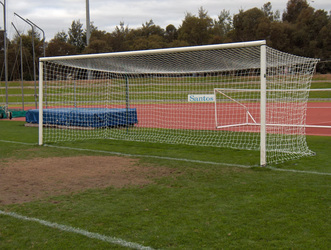 Advanced Nets & Ropes manufacture and sell football goal nets in a range of sizes and for all levels of play from Mini Goals for Primary School through to Full Size Goals for Professional use. 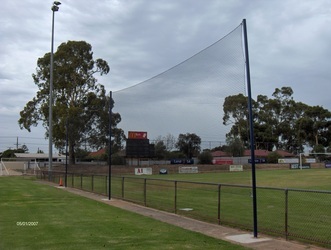 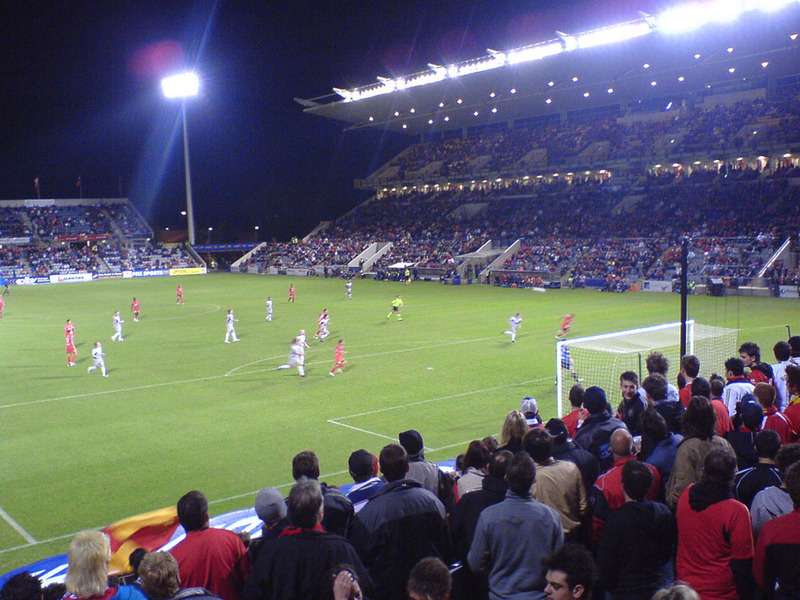 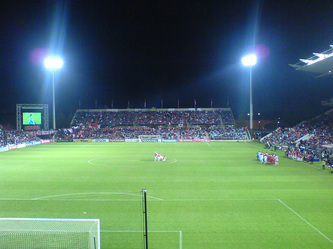 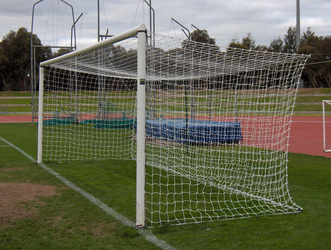 Our football nets and football goals are used in venues Australia wide including Adelaide United's Hindmarsh Stadium as well as local clubs, schools and backyards. 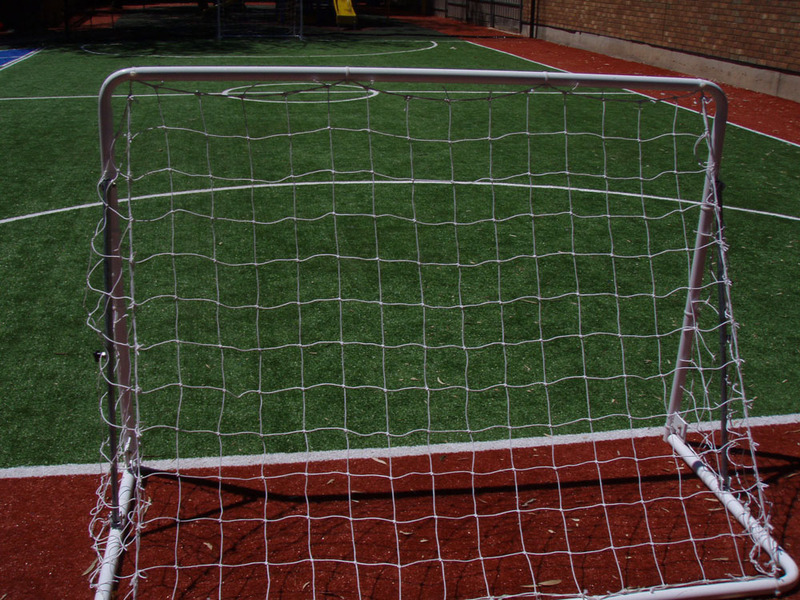 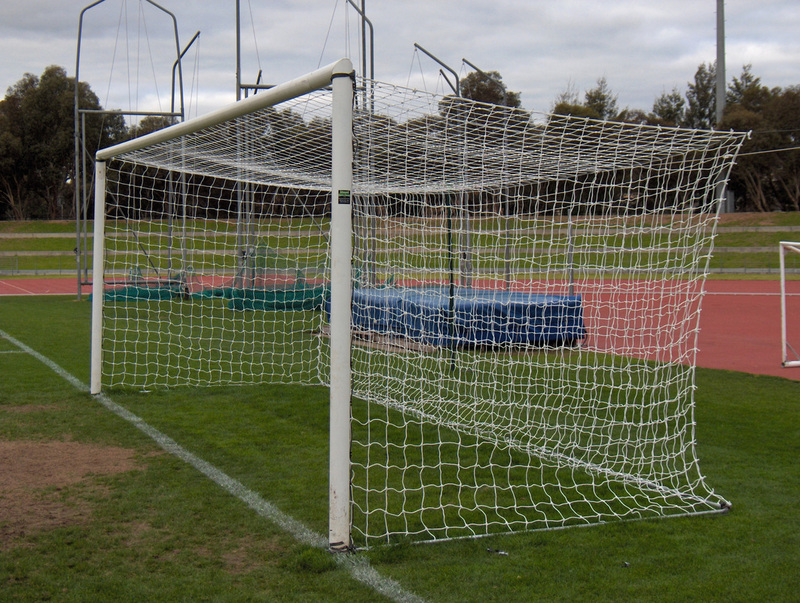 We offer a full service including installation of goal posts and installation of all nets, or can provide goal nets for you to install yourself. 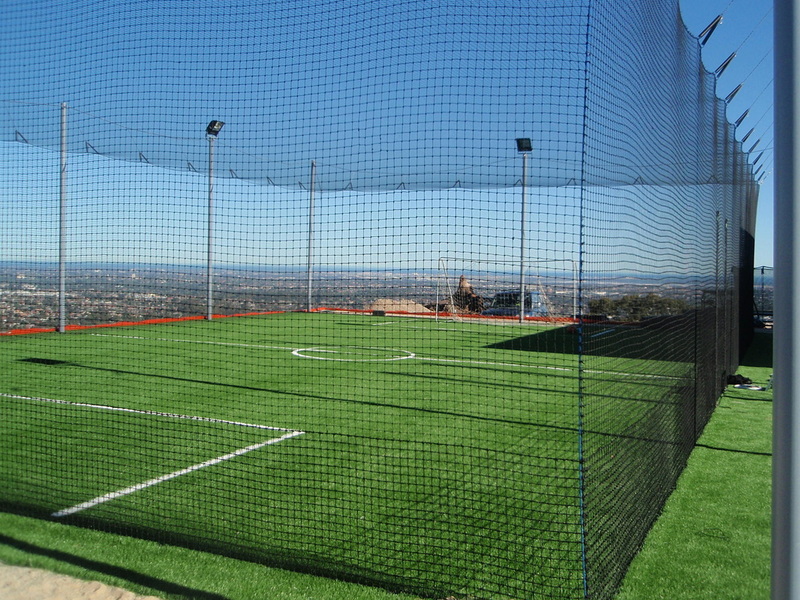 We can advise of all options available to make your playing area safe either indoors or outside. 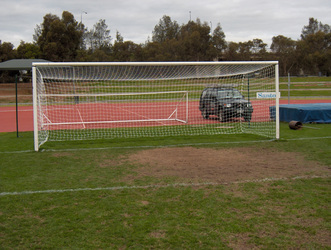 We also design & install backdrop/spectator safety nets. 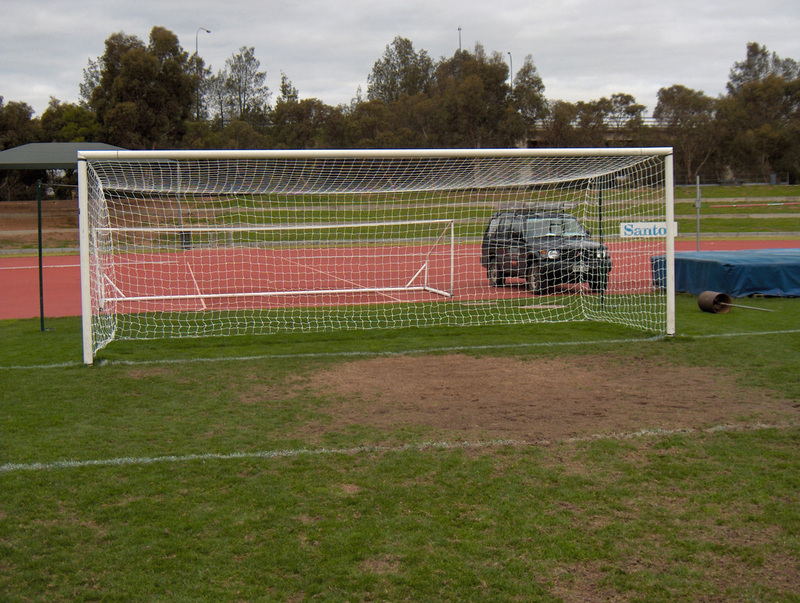 Made in a vaiety of colours from quality polyethylene netting, our easy to install soccer nets are UV stabilized making them ideal for outside in the Australian climate (Read about the importance of UV protection here). 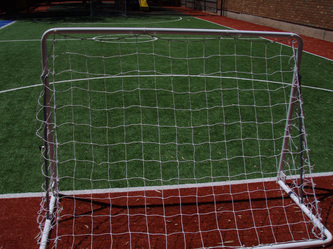 Or we can design a custom soccer net to meet your needs.